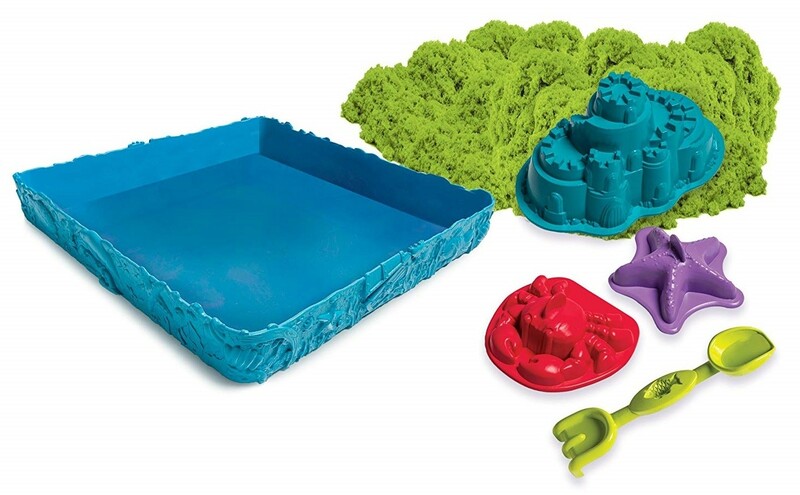 This Kinetic Sand activity set includes fun tools for experimenting with this fun new sensory experience. Kinetic Sand is the squeezable sand where you can FEEL the fun! 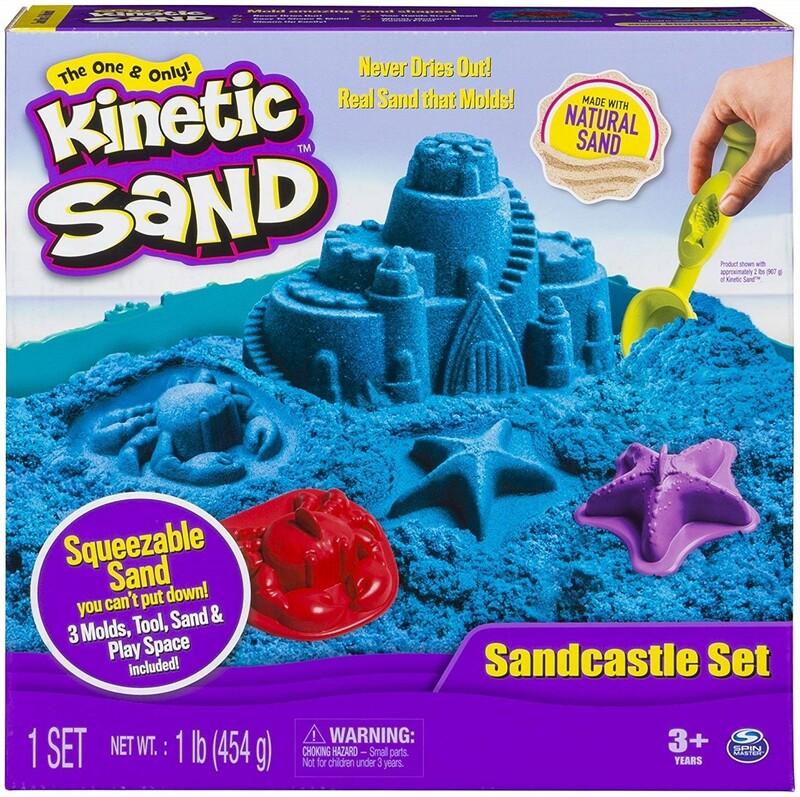 You've seen it before, but you've never felt anything like it: pack it, pull it, shape it and love it, Kinetic Sand is so incredible you can't put it down. It sticks to itself and not to you; it oozes, moves and melts right before your eyes; it flows through your fingers like a slow-moving liquid, but leaves them completely dry. Plus, it's non-toxic, gluten-free, and never dries out. This activity set includes 1lb. of sand, four three molds, a sand tool, and a small sandbox. Please note: colors vary.